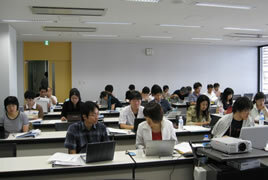 The JGSS project is engaging in a variety of other research and educational activities. 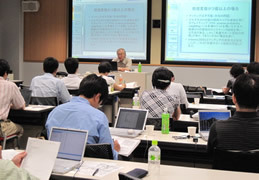 The JGSS project received the cooperation of Dr. Kazuo Yamaguchi, Professor at University of Chicago Department of Sociology to host a statistical analysis seminar for graduate students and researchers wishing to improve their statistical analysis skills. 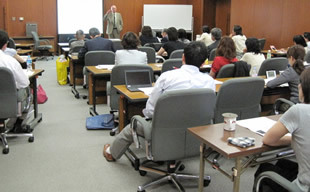 We plan to hold similar seminars in the future. 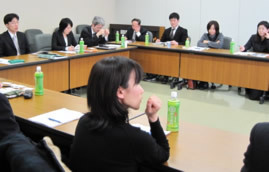 Based on the results of EASS 2006 family module and CAFS surveys, Scholars discussed the similarities and differences of the popularization of higher education and the change of family in East- and Southeast-Asian societies. 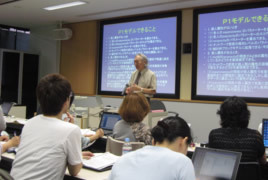 Dr Dave Webb, Associate Professor at University of Western Australia introduced the origins and development of the personal well-being index (PWI), highlighting several international studies across different contexts in which the PWI has been employed. 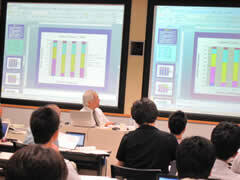 Economists reported his/her analysis using JGSS datasets. 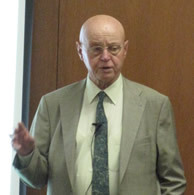 Dr. Geert Hofstede, Professor Emeritus at the University of Maastricht, gave a lecture on his recent work, including an analysis of data from the World Values Survey. 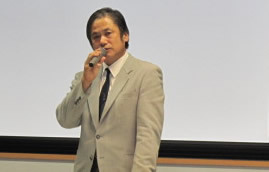 The topic of this seminar was on the succession of family graves. 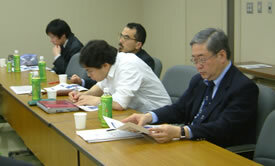 Current challenges and future directions were discussed with Buddhist monks. 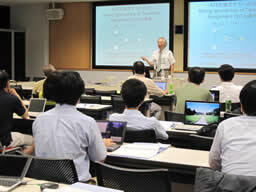 The topic of this seminar was on the possibility of interdisciplinary studies by utilizing JGSS public data. 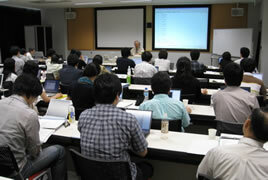 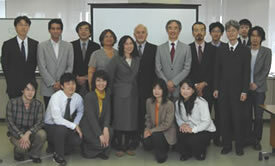 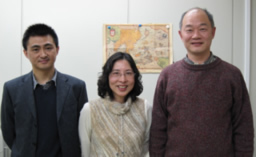 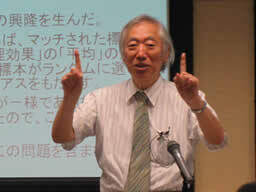 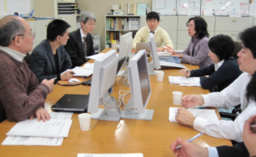 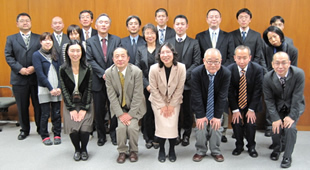 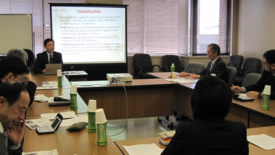 Researchers who are involved in GSS-type surveys in Okinawa and Aomori reported their studies. 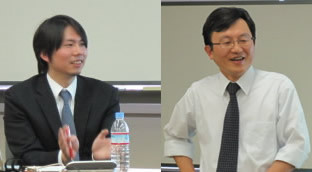 The topic of this seminar was on globalization issues in Taiwan and China. 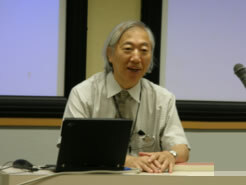 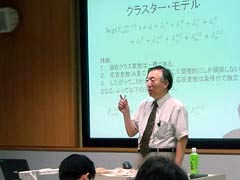 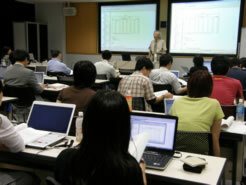 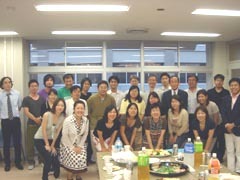 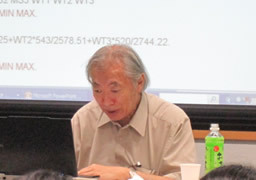 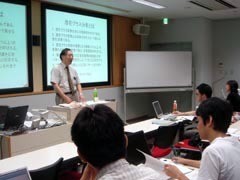 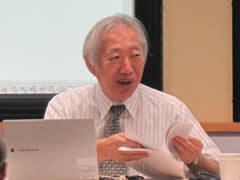 The topic of this seminar was on Globalization and Relational Transformations in China based on EASS 2008 data. 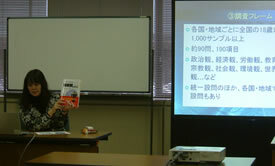 Ms. Seiko Yamazaki, the principal investigator of World Values Survey in Japan, reported the framework and the findings of the survey. 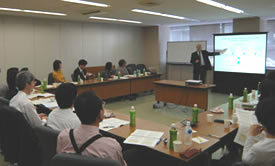 This seminar, titled as "New Directions in Life-course Research", was given by Dr. Karl Ulrich Mayer, Professor of Yale University. 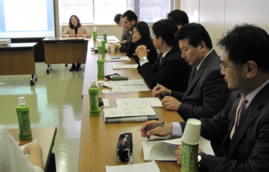 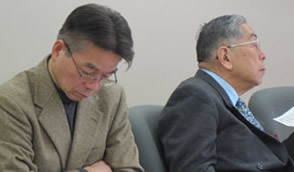 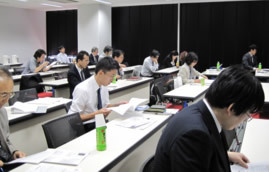 The seminar was on accumulation of life-course research over a quarter of century and future development of the research, focusing on subjects and method of the research. 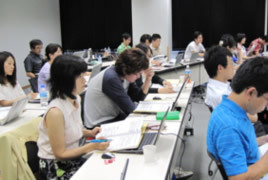 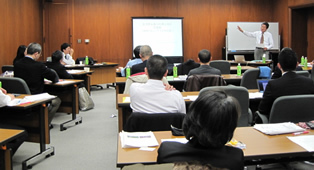 Basics of Survey Data Analysis which was planned and created by the JGSS project is being used as a text book in the "Workshop for Candidates for the Advanced Social Researcher Qualification" held by the Japanese Certification Board for Social Researcher. 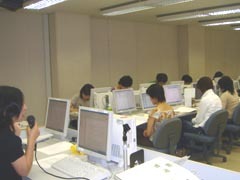 We think of the use of our survey data in an actual educational setting represents the realization of one of the JGSS project objectives.